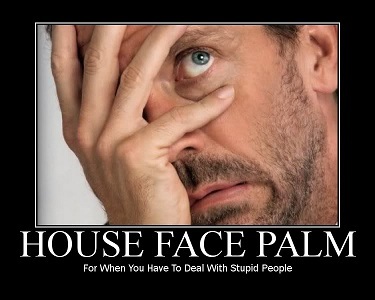 Ever had that moment whilst Agile Coaching when you just want to /facepalm but you know professionally you can’t. Where I kicked off an Agile Process Improvement Project that required the IT Leadership Team’s involvement of requirements, setup the initial scoping workshop and was told that it was the first time ever that the Leadership Team had sat in a room together. A Project Manager that Gantt charted over 500 stories across six months of work onto a wall and then continued to ask the team on Iteration ‘x’ why they weren’t working on the stories on the Gantt wall. COTS implementations run Agile where Business Process Transition Analysis was not in scope at all. Apparently people figure customisation is better than configuration + process change. What are your biggest /facepalm moments? My personal favourites tend to be around getting people to agree on minimum-viable-product or minimum-releasable-unit and seeing low-level level after feature after feature being piled in. One agile coach cancelled a stand-up because he was ill and could not make it to the meeting. ← 80/20 – Can you live with that?